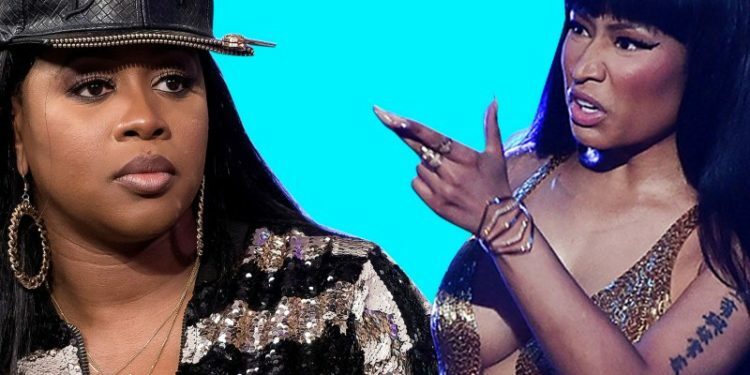 Nicki Minaj, was the queen of rap until Remy Ma came back from prison. In Hip Hop, it has been said severally there can be only a rap Queen. So the battle begins, Nicki Minaj wants to retain the title but Remy keeps releasing em barz. So after “Shether“, Nicki Minaj replied Remy after 2 weeks with No frauds. She just dropped the video but what is getting every one riled up is the guest appearance by Rah Ali. Rah Ali and Remy were once bestie, until they had this beef on LHHP. Guess Rah just picked a side.